Butler Performance 406-413 ci Balanced Rotating Assembly, for 400 Block, 3.750" str. 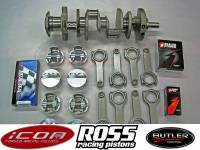 Butler Performance 455-462 ci Balanced Rotating Assembly Stroker Kit, Icon or Ross, for 400 Block, 4.210" str. 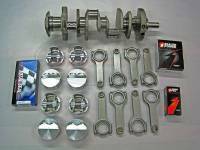 Butler Performance 433-440 ci Balanced Rotating Assembly Stroker Kit, for 400 Block, 4.000" str. Butler Performance 460-468 ci Balanced Rotating Assembly Stroker Kit, for 400 Block, 4.250" str. Butler Performance 471-479 ci Balanced Rotating Assembly Stroker Kit, for 400 Block, 4.350" str. 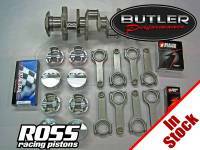 Butler Performance 487-495 ci Balanced Rotating Assembly Stroker Kit, for 400 Block, 4.500" str.